Accentuating the Positive « How Do You Measure 525600 Minutes? I can’t believe how fast this week has flown by. I need to backtrack. (I’ll talk about last Friday in a moment.) Saturday was the first full day of set construction at school and it was nice to see some old familiar faces and new faces as well. We were able to build the main structures of two rolling units for the spring musical, even though we were fighting with a lack of tools and battery power. Sunday, Michael and I went to brunch and then saw a great production of Legally Blonde at Marriott Lincolnshire. We have three friends in the production and it was wonderful to see them perform again. Ragtime rehearsals are now in full swing and we’ve really made a lot of great progress this week. Except for spring break, we are now on a Monday through Saturday Rehearsal schedule until the show goes up in middle of April. I’m really enjoying working with our production team. Staging 130 students is a daunting task– but with a lot of preparation and collaborative input, I think we’re able to make the process fun for us all. At one point yesterday, I was explaining a section to the cast and then said, “Does that make sense?” and the choreographer said, “I understood it.” I turned to her and said, “Yeah, but you’ve had 13 years to decipher me.” She laughed and said, “That is true!” It’s hard to believe we’ve been doing these annual productions this long. Now back to Friday. 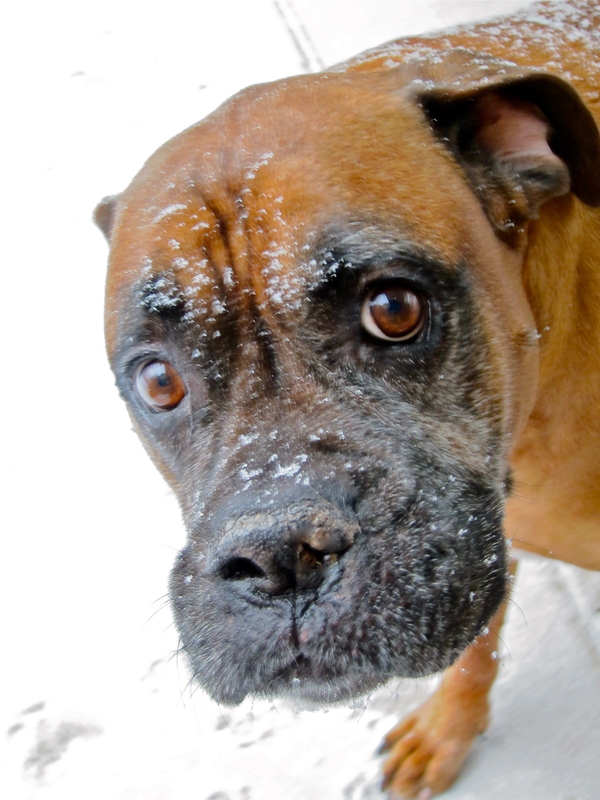 It was one of those crazy weather days, lots of snow, cancelled rehearsals and changed plans. I’d talked to my Mom that morning and also a friend I’ve known for many years. That afternoon, I found myself working online, checking Facebook periodically as I always do… and this really magical thing started to happen… There was this sudden rush of positive messages coming my way. It was totally out of the blue and really inspiring. I heard from friends I hadn’t spoken with in a while and a few I hadn’t really talked to in years. I suddenly found myself in the middle of an online lovefest and couldn’t have been happier. There is nothing more rewarding and that gives you a sense of validation, then having someone tell you how you had an impact on their life. Being told “Thank you for being you” is probably the greatest feeling of all. If you are like me, you always want to be a positive influence but as humans we naturally have our good days and bad days. There are periods where I feel I’m constantly in negative mode and I really hate that. Staying positive when constantly facing adversity is a tremendous challenge. I think that’s why I’m so sarcastic. It can annoy people but making light of negative situation has always helped me get through the day. Hopefully, I’m able to make someone smile or laugh along the way. I’ve made connections with some of my favorite people, just by taking a moment and either complimenting them on something they’ve done and sharing how their very presence lights up my day. You never know what you might miss, in terms of a great friendship, if you don’t take that first step. Finding the positive in an awkward situation can be the key to finding the solution. I had a supervisor that I butted heads with constantly until the day I decided to take a different approach. She was a “my way or the highway” type personality, whether or not she was wrong. I found the ability to look at the issues from her perspective and start there to find the solution… even though what we were doing was already the best that could be done in that circumstance. By making it clear that I was identifying with her, somehow opened her ears to hear my point of view. Representing the opposing side would just cause her to shut down and not listen. Approaching it by showing understanding led to our ability to work together as opposed to a constant stalemate. I think we were eventually able to appreciate each others opinions and find real resolutions. You have to be able to get a foot in the door first. Take the time to compliment someone today, even if it’s someone you don’t really know. Reconnect with an old friend or acquaintance and share with them some positive impact they’ve had on your life. It could be totally unexpected and you’ll make their day. 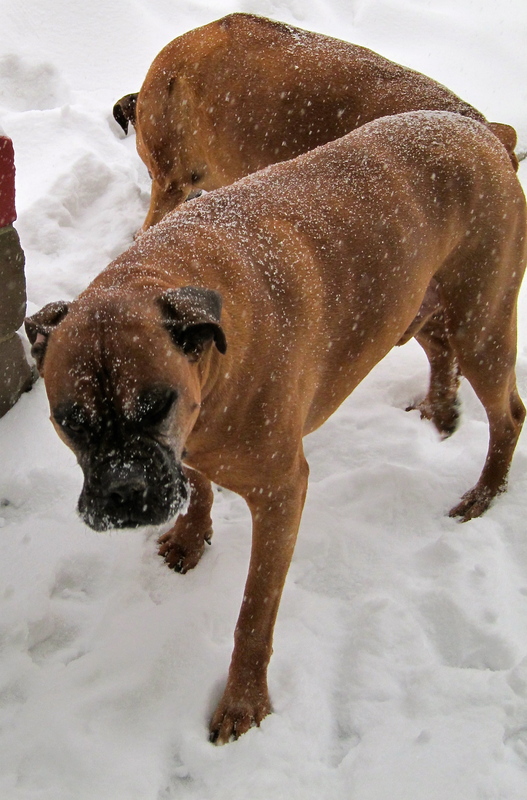 Today’s Pic of the Day: Cash and Roxie playing in the snow last Friday. By jlinamen1229 in Uncategorized on January 26, 2012 . I’m not so sure they’re playing in the snow. More like “What are we doing out here?” Look at the facial expression.